Dan Syzmborski and Fangraphs have released the ZiPS projections for the Cincinnati Reds. 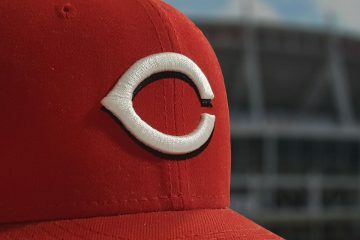 They are actually pretty strong, projecting the Cincinnati Reds, as they stand today, as a sort-of playoff contender. I’m actually surprised how well the Reds come out in the ZiPS projections – my gut was telling me low 80s, but the very rough ZiPS estimates puts them in mid-80s (that may change in full sim which takes into account depth). Let’s start off with a few points to make. First, click the link above and check out the entire projection. Second, let’s note that this is a projection, not a prediction. This is not someone’s opinion. This is what an algorithm based on historical past data about players says is most likely to happen based on how these players, and ones similar to them in the past, have performed at similar ages. That’s out of the way now. 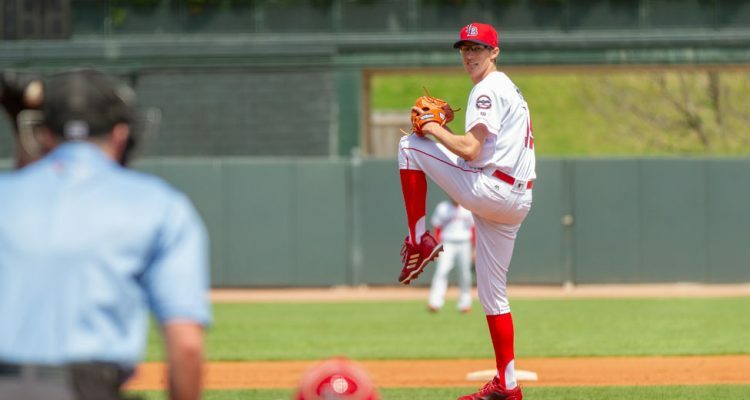 Let’s take a look at what the ZiPS projection system says about a few of the Cincinnati Reds prospects. And what better place to start than with Nick Senzel? Despite the system believing that he won’t play anywhere near a full season, it still projects him to be the 6th most valuable position player on the team – ahead of Jose Peraza and Jesse Winker (who also doesn’t have a full-season of time projected for him). ZiPS projects him for a .267/.335/.447 line with 1.9 WAR this season in 333 plate appearances. It’s Senzel that everyone feels comfortable with being the rookie who is going to log real, useful playing time. And he’s also the one that projects the best, which isn’t surprising. He’s an elite prospect and has spent time in Triple-A where he performed well. But are there are any other guys who could be useful in 2019 for the Reds from the prospect group? Jose Siri is the position player with the second best projection in terms of WAR from the rookies. At the plate the system thinks he’ll struggle to hit or get on base. But ZiPS thinks there’s going to be power and he’ll steal a bunch of bases. His defensive value is set at 0, which I will argue for a while that is lower than it should be by quite a bit. His offensive line of .225/.272/.408 isn’t good in the slightest. But 41 extra-base hits and 23 steals in 448 at-bats certainly would play. Top 10 prospects Tyler Stephenson and Taylor Trammell have both yet to see a pitch in Double-A. Because of that, the likelihood of them having a quality projection in the Major Leagues for 2019 are very, very small. Players simply don’t make that leap often. In terms of WAR, they are at 0.1 and 0.0 for the year. When we look at the pitchers we see plenty of guys who the system just doesn’t think are quite ready yet. Tony Santillan and Vladimir Gutierrez are projected for ERA’s of 4.95 and 5.29 each. But, there is one rookie eligible pitcher who looks to be solid for 2019. Jimmy Herget. The right-handed reliever has a projected 4.21 ERA in 62.0 innings with 65 strikeouts. After writing just yesterday that Connor Joe shares plenty of similarities with Max Muncy before his breakout in 2018, the ZiPS projection wants to crush that idea before it starts running. The system projects him for a .219/.307/.350 line this season and -0.6 WAR. As noted in the article yesterday, though, before 2018 when he changed his hitting profile, he was a very different kind of offensive player. Those previous seasons are certainly weighing down the projection. ZiPS also doesn’t think that Ibandel Isabel would hit much. It projects him for 218 strikeouts in just 416 at-bats. But also projects 26 home runs if he were given that amount of playing time. I’m not entirely certain what defensive metrics are being used in this system when it comes to minor leaguers, but whatever they are, they rate Narciso Crook very highly. The 23-year-old grades out at a +6 defender, twice as valuable as any rookie on the list for the Reds. It ranks second among everyone on the team, trailing just Tucker Barnhart’s +7. Tony Santillan projects for a better WAR, 0.7, than Sal Romano or Amir Garrett in 2019. For Garrett it’s due to the system projecting him as a reliever and only throwing 65.0 innings. There’s a whole lot to dive into for the entirety of the Cincinnati Reds roster at the link above. You really should go check it all out. But it’s always interesting to take a closer look at the specifics of how the system projects the rookies to play. They are always the group that have the largest error bars in projections because the data used from past seasons simply isn’t as useful as past Major League performance. That projected Siri OPS of .680 is better than any season Hamilton (.664 was his best season) put up for the Reds. Which is what I, and a few others, have been saying for a while, that it’s likely Siri would put up a better OPS than Hamilton even without making much adjustment on his plate discipline. The kid’s floor is pretty high. Really depends if the D is as good as advertised. These are projections and i appreciate them for doing them. That being said, Scooter gets no love, locally or national wide. 2 straight seasons posting wRC+ over 120, made strides(according to fangraphs DWar and BSR) in the field and on the bases. Yet hes projected 2.2 War and is projected to be more of a liability on D than Jesse Winker…yeah okay lol. Steve Mancuso of Redleg Nation, tweeted today that Scooter has zero value to every team but the Reds…. and is mad he’s blocking Senzel. I get wanting Senzel up, but come on, just because they didn’t trade him does not mean he has no value(not even close). The dude is going to hit and hit well. The best thing I have heard about Scooter is the therapy strength work he has done this off-season on his right shoulder. We could all tell his arm was a major weakness in his game but did not realize there was a medical issue. If he can improve the strength of his throws hid defense should be 50% better. Strange. MLB published a list of Best 2B recently and Gennett was rated #6 yet someone thinks he has no value except to the Reds. #6 best 2B. No value. Doesn’t match. It’s not that he has no value, but across the majors 2nd base is a loaded position so it’s really easy to get a reasonable replacement. Plus Gennett is in his last contract year which means trade offers for him will be much lower than his production would suggest. Mancuso has some interesting things to say from time to time and is a talented writer for sure. Having said that, I refuse to engage with anyone who doesn’t think the Reds are a better team with both Senzel and Gennett on the roster and playing regularly. The BRM is long gone and it isn’t coming back. You don’t have 8 guys starting 150 games anymore. Teams win now with talent AND depth AND position flexibility. David Bell is a smart guy. The Reds have invested heavily in the coaching staff, on and off field. There is going to be ample opportunity for 10-11 guys to get 400+ AB’s this season. Give the coaches the pieces and let them manage. Unless we’re all horribly wrong, they’ll figure it out game to game. I don’t know Mancuso at all other than from his articles but his opinions definitely seem pretty different than a lot of ppls I can say I don’t agree with almost anything he writes in regard to scooter or payroll. The BRM did not start the Great 8 150 games either. That lineup started about 85 games in 1975 and 1976. Scooter’s relative lack of trade value is substantially caused by the number of decent (& inexpensive) 2nd basemen on the FA market. Lowrie, Murphy, LeMahieu, Dozier, Schoop, & Kinsler have already signed. None got more than 2 years. None got more than $12MM per year. The opportunity exists for the Reds to sign Scooter to a very “team-friendly” extension. I for one hope they do. Scooter is a horrible 2bmen and I don’t care what the metrics say. If you watch him play everyday the eye test is the only metric that you need. His poor defensive skills show up every day. I am glad Scooter has had this time with the Reds. He is a ball player. Defensively he does not make us forget BP or Ron Oester or even Rich Aurillia is his waning days when his legs were gone. And he does have the worst strike zone on the team. That is why he gets no love outside the Reds. Remember he came to us off the waiver wire. I get falling in love with your own prospects. And Scooter does play hard and grips it and rips it. And he has had 2 years of good contact. But he is not a long term prospect. He is Dan Straley. And he is not a cornerstone you build around as a player although he probably is as a team mate or a gamer. I will enjoy his play this year and watch an upgrade play 2nd base next year for less money. And my guy is Robert Stephenson who I absolutely want to see make the team. I could not agree more with the Gennett issues above. He is far and away better than what any rookie can put up. He has proved it/done it. Lets not forget the “Reds” picked him up off waivers..
scooter is a better offensive player but Senzel is head and shoulders better on defense and on the base paths. I pretty much think Senzel’s production this year over 500 ABs would be pretty close to Gennett. That is not a knock on Gennett, either. And to max out Senzel’s production over the long run, he needs those 500 ABs this year. 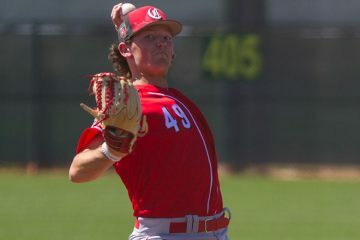 Baseball, with the increased emphasis on power pitching, has become a young man’s game. I am wholly behind keeping Senzel and Trammell, who we fans paid with a lot of bad seasons to acquire. @biged I agree. Scooter had one amazing month last year with an ops of 1139. The rest of the season it bounced from 767 to 835. I think Senzel can match that version of Scooter. Big Ed, I agree with almost everyting. 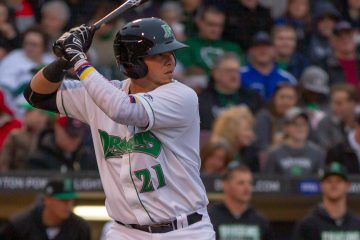 I think Senzel has a really nice rookie season, and I wouldn’t trade anyone in the top 4(Senzel, India, Greene, Trammell). But also think the Reds should utilize Senzel’s positional flexibility, and give him time to sink or swim in CF for 2 month at AAA(or an injury happens and he’s called up sooner, also dont let him get super 2 status). If he can play below-average-not-bad defense in CF, he’s the CF of the second half and foreseeable future. Easier to find a 2nd baseman. The Reds are going for it this season, and Scooter will help, and could help quite a bit. The numbers would disagree with you. Looking at fabgraphs projected WAR, they’re 7 below the cards & 9 below the Cubs, that is significant. They’re also trailing the pirates. No matter what the reds do, they are likely 3rd to 5th in the division. That is not the situation to sell the future.